On 19 October 2017, the Turkish Professional Football Disciplinary Committee (Disciplinary Committee) rendered an extraordinary decision regarding the fixing of the game between Manisaspor and Şanlıurfaspor played on 14 May 2017. The case concerned an alleged match-fixing agreement between Elyasa Süme (former Gaziantepspor player), İsmail Haktan Odabaşı and Gökhan Sazdağı (Manisaspor players). The Disciplinary Committee acknowledged that the evidence relevant for proving the match-fixing allegations was obtained illegally and therefore inadmissible, and the remaining evidence was not sufficient to establish that the game was fixed. Before discussing the allegations, it is important to note that the decision is not only significant for Turkish football but is also crucial to the distinction between disciplinary and criminal proceedings in sports. During the last weeks of the 2016/2017 season in Turkish 2nd Division League, three teams, namely Manisaspor, Şanlıurfaspor and Gazişehir Gaziantep, were competing to avoid relegation. At the penultimate week, Manisaspor played against Şanlıurfaspor and won the game. Gazişehir Gaziantep also won its match. As a consequence of these results, Şanlıurfaspor was relegated to a lower division. At the end of the season, on 5 July 2017, Şanlıurfaspor claimed that the club Gazişehir Gaziantep had attempted to influence the outcomes of the games and Şanlıurfaspor appealed to the Turkish Football Federation (TFF). Şanlıurfaspor’s claims mainly focused on the recording of the talk between Nizamettin Keremoğlu (Vice-President of Gazişehir), Elyasa Süme (a former Gaziantepspor player), Gökhan Sazdağı (Gazişehir player who was on loan at Manisaspor at the time) and İsmail Haktan Odabaşı (Manisaspor player). The recording was leaked and uploaded on Youtube. The content of the recording clearly demonstrates that incentives were provided to Manisaspor players by Gazişehir in order to encourage them to win against Şanlıurfaspor. Furthermore, Gökhan Sazdağı confessed in the recording that he had been involved in match-fixing before and that this would not be his first time. In addition, Gaziantepspor claimed that Elyasa Süme was involved in match-fixing. On 20 July 2017, based on these serious allegations and the incriminating evidence publically released, the TFF referred Şanlıurfaspor’s application to the Turkish Football Federation Ethics Committee (Ethics Committee). Following the Ethics Committee’s report, the TFF subsequently referred the case to the Disciplinary Committee for determining the possible sanctions to be imposed on Gazişehir Gaziantep, Nizmettin Keremoğlu, Elyasa Süme, Gökhan Sazdağı and İsmail Haktan Odabaşı. Finally, on 19 October 2017, the Disciplinary Committee decided that the evidence relevant for proving match-fixing was illegally obtained and the remaining evidence was not enough to establish an instance of match-fixing. It is generally accepted that in sports law disciplinary proceedings are to be treated differently than criminal investigations. In countries like Turkey, match-fixing and/or match-fixing attempts also constitute a crime. Article 11(1) of the Act on the Prevention of Violence and Disorder in Sports stipulates that a person providing advantages or benefits in order to influence the final result of a game shall be punished with imprisonment from five to twelve years. Article 11(5) of the same regulation also states that in case of commission of the offense by offering or promising incentive pay with the intention of enabling one team to win a match, only half of the punishment is to be imposed. On the other hand, match-fixing and incentives also appear in Article 58 of the Turkish Football Disciplinary Instruction. The said provision makes clear that it is forbidden to influence the outcome of the games illegally or unethically. Incentives fall also within the scope of this provision. In case of a breach, individuals will face a life-long ban. In case of an attempt at match-fixing or of the provision of unlawful incentives, clubs will be sanctioned by at least a 12 points deduction. It is important to note that Turkish prosecutors have not yet opened a criminal investigation for the allegations related to the provision of incentives, even if the allegations and evidence are serious. FIFA as the world's governing body of football has put in place significant provisions regarding match-fixing and corruption in football. Article 69 FIFA Disciplinary Code stipulates that anyone who unlawfully influences the outcomes of football games can be banned from taking part in any football-related activity for life. Furthermore, Article 3.10 FIFA Code of Conduct also highlights the importance of zero tolerance for bribery and corruption. UEFA president Michael Platini announced in 2011 that a zero tolerance policy was adopted by UEFA regarding match-fixing, and that all match-fixing allegations would be seriously investigated. Moreover, as evidenced in Sport Lisboa e Benfica Futebol SAD, Vitoria Sport Clube de Guimaraes v. UEFA and FC Porto Futebol SAD, UEFA is not bound by national associations’ decisions in this regard. A zero-tolerance policy requires that match-fixing attempts be punished heavily. This does not mean, however, that there is no standard of proof for match-fixing allegations. According to the CAS, match-fixing allegations must be proved to its comfortable satisfaction. Comfortable satisfaction is defined by the CAS as a standard that is higher than the civil standard of “balance of probability” but lower than the criminal standard of “proof beyond a reasonable doubt”. In my view, considering the evidence in the case of Şanlıurfaspor, in particular the recordings and the statements of the clubs, it should be accepted that the standard of proof for match-fixing allegations was met. What is crucial in our case is that UEFA and the CAS cannot intervene in the Turkish match-fixing proceedings due to Article 64(1) of the Statutes of the Turkish Football Federation stating that “CAS shall not, however, hear appeals on violation of the laws of the game, suspensions according to relevant provisions of the FIFA and UEFA Statutes, or decisions passed by the independent and duly constituted Arbitration Committee of the TFF”. Moreover, Article 59(3) of the Turkish Constitution provides that “the decisions of sports federations relating to administration and discipline of sporting activities may be challenged only through compulsory arbitration. The decisions of the Arbitration Board are final and shall not be appealed to any judicial authority”. On the other hand, in case of a breach, FIFA has the authority, relying on its Code of Conduct and Disciplinary Code, to take important steps in order to sanction clubs and/or individuals, even where national federations fail to do so. Therefore, on 25 October 2017, Şanlıurfaspor declared that if the Arbitration Board of the TFF did not sanction clubs and individuals who were allegedly involved in match-fixing, it would apply to FIFA to do so. The main reason why the Disciplinary Committee did not find the clubs and individuals guilty of match-fixing was that the evidence, which was crucial to support the allegations, was obtained illegally. Therefore, it is of primary importance to compare this position to the one adopted by UEFA, CAS, and the Swiss Federal Tribunal with respect to the validity of illegally obtained evidence in disciplinary proceedings involving match-fixing. The CAS also supports the approach of UEFA with regard to the admissibility of evidence in match-fixing cases. 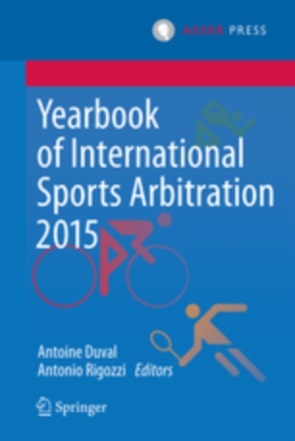 According to the CAS jurisprudence, “even if evidence might not be admissible in a civil or criminal court in Switzerland, this does not automatically prevent a sports federation or an arbitration tribunal from taking such evidence into account in its deliberations”. This statement clearly shows that the CAS distinguishes criminal or civil court proceedings from disciplinary proceedings. As a matter of fact, it can be argued that the CAS allows national sports governing bodies to evaluate the admissibility of match-fixing evidence less strictly than in criminal proceedings. In general, the CAS is bound by Swiss law because it is domiciled in Switzerland. Therefore, the Swiss Federal Tribunal may annul the CAS awards if they are contrary to Swiss public policy. One could argue that a decision based on illegally obtained evidence violates Swiss public policy. Thus, the approach of the Swiss Federal Tribunal also needs to be taken into account. The Swiss Federal Tribunal discussed the admissibility of evidence in A. v The Football Federation of Ukraine. In this case, the appellant claimed that using illegally obtained evidence, violated Swiss public policy. As a response to this claim, the respondent (CAS) argued that there was an overriding public interest in preserving football’s integrity. Therefore, the evidence should have been admissible according to the CAS. The Swiss Federal Tribunal held that pursuant to Article 152(2) Swiss Private International Law Act (PILA), “illegally obtained evidence shall be considered only if there is an overriding interest in finding the truth”. In that particular case, the Swiss Federal Tribunal upheld the decision of the CAS and stated that if necessary to prove an instance of match-fixing, illegally obtained evidence was not inadmissible. As explained above, the Act on the Prevention of Violence and Disorder in Sports and the Turkish Football Disciplinary Instruction contain significant provisions aimed at combating match-fixing. However, these rules say nothing about the admissibility of evidence. Pursuant to Article 38(6) Turkish Constitution, “findings obtained through illegal methods shall not be considered evidence”. Contrary to the PILA, the Turkish Constitution does not provide for exemptions. Additionally, Article 206(2) and 217(2) Turkish Criminal Procedure Code provide that illegally obtained evidence cannot be accepted by criminal courts in Turkey. Nevertheless, there is no definitive verdict about the admissibility of evidence in sporting disciplinary proceedings in Turkey. Furthermore, Turkish sports regulations do not contain specific rules for assessing the evidence in match-fixing allegations. Therefore, it can be argued that in Turkey, there is a loophole in disciplinary proceedings as to whether illegally obtained evidence is admissible or not. The fight against match-fixing is vital for sports governing bodies. This article has demonstrated that UEFA, CAS, and the Swiss Federal Tribunal share the same view that illegally obtained evidence is not always inadmissible when used to evidence an instance of match-fixing. In my view, the Disciplinary Committee disregarded the approach of UEFA, CAS, and the Swiss Federal Tribunal, and instead followed the practice of the Turkish Criminal Court. Because match-fixing is also a breach of the Turkish Act on the Prevention of Violence and Disorder in Sports, it is the duty of criminal courts in Turkey to assess whether the evidence was obtained legally or not. However, as a disciplinary body, the Disciplinary Committee was not forced to deny the admissibility of illegally obtained evidence. I believe it should have followed the established practices of UEFA, FIFA, and the CAS, and assess the available evidence to determine whether it met the comfortable satisfaction standard of proof. Hence, based on the confession recorded in the YouTube video, the Disciplinary Committee should have decided that the individuals concerned, at a minimum, attempted to fix the match and it should have imposed the corresponding sanctions. Adam Lewis and Jonathan Taylor, Sport: Law and Practice (Bloomsbury, 3rd ed, 2014) 249. 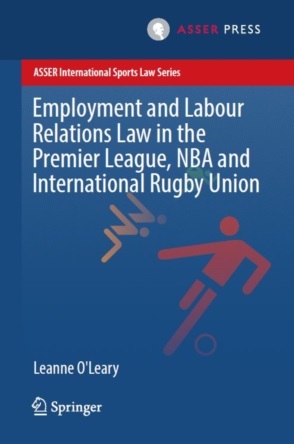 Michael J Beloff et al, Sports Law (Hart Publishing, Second edition, 2012) 188. Beşiktaş Jimnastik Kulübü v UEFA  CAS 2013/A/3258 . Public Joint-Stock Company “Football Club Metalist” v. Union des Associations Européennes de Football (UEFA) & PAOK FC  CAS 2013/A/3297 [8.8]. Public Joint-Stock Company “Football Club Metalist” v. Union des Associations Européennes de Football (UEFA) & PAOK FC  CAS 2013/A/3297 .